Lampwork beads There are 37 products. 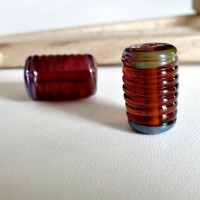 Handmade lampwork cylinder bead with brown-silver borders. Color - transparent gray. 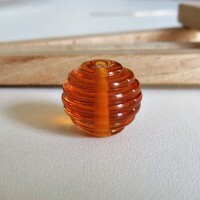 Handmade lampwork cylinder bead with brown-golden borders. Color - opaque pink. 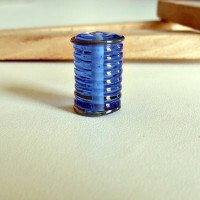 Handmade lampwork cylinder bead with silver borders. Color - transparent dark topaz brown. 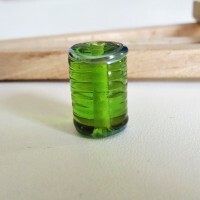 Handmade lampwork cylinder bead with green-silver borders. Color - transparent blue. 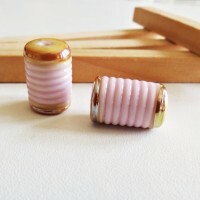 Handmade lampwork cylinder bead with silver borders. Color - transparent green. 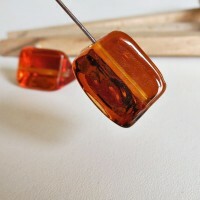 Handmade lampwork 'sun' bead - opaque orange with transparent orange beams. 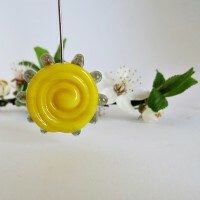 Handmade lampwork 'sun' bead - opaque yellow with transparent gray beams. 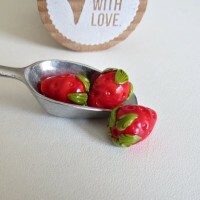 Handmade lampwork 'strawberry' bead - opaque red with opaque green leaves. There are 4 pcs in 1 pack. 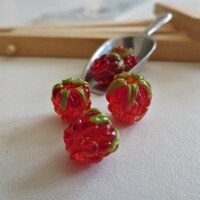 Small handmade lampwork 'raspberry' bead - transparent red with opaque green leaves. Looks very realistic and yummy! There are 4 pcs in 1 pack. 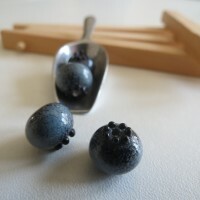 Small handmade lampwork 'blueberry' bead - opaque dark blue. Looks very realistic and yummy! There are 4 pcs in 1 pack. Size varies from 11 to 13 mm. 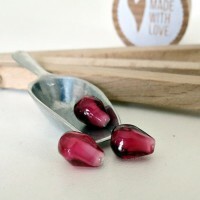 Small handmade lampwork 'pomegranate seed' beads - transparent red with the opaque white 'seed' inside. Looks very realistic and yummy! There are 10 pcs in 1 pack. Size varies from 10 to 12 mm. 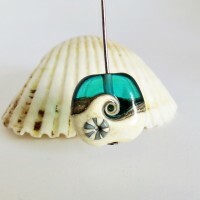 Handmade nautical lampwork bead. Fits perfect as the pendant or for bracelets. Every bead makes by hand so size could vary a bit. 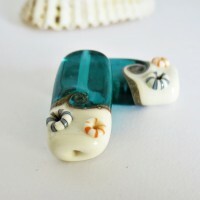 Handmade nautical oval lampwork bead. Fits perfect as earrings or for bracelets. Perfects fit with rectangle nautical beads and prism nautical beads. Every bead makes by hand so size could vary a bit. 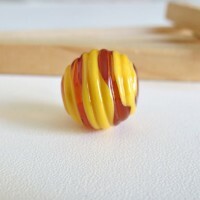 Handmade round lampwork bead with relief stripes. Stripes are light blue, orange and green. Every bead makes by hand so size could vary a bit. 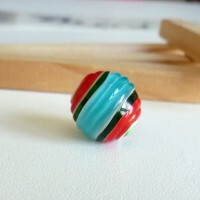 Handmade round lampwork bead with relief stripes. Stripes are light blue, orange and different shades of green. Every bead makes by hand so size could vary a bit. Glass Lampwork Beads, Round Red-Blue, 15 mm. 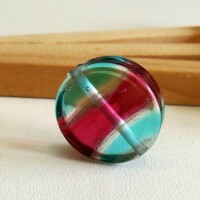 Handmade round lampwork bead with relief stripes. Stripes are light blue, red and green. Every bead makes by hand so size could vary a bit. 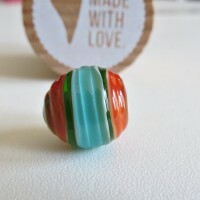 Handmade round lampwork bead with relief stripes. Stripes are yellow and topaz brown. Every bead makes by hand so size could vary a bit. 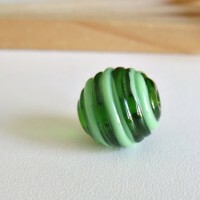 Glass Lampwork Beads, Round Green, 15 mm. 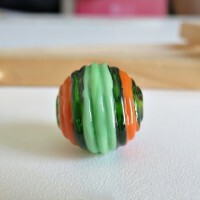 Handmade round lampwork bead with relief stripes. Stripes are different shades of green. Every bead makes by hand so size could vary a bit. 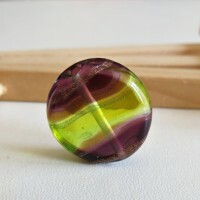 Handmade round lampwork bead with relief stripes. Color - light honey brown. Every bead makes by hand so size could vary a bit. 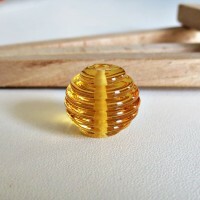 Handmade round lampwork bead with relief stripes. Color - dark brown. Every bead makes by hand so size could vary a bit. 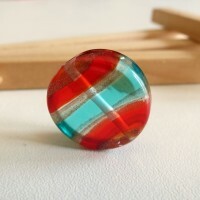 Glass Lampwork Bead, Turquoise - Red, 20 mm. Handmade flat round lampwork bead. Color - transparent red raspberry and turquoise, with aventurine inclusions. Every bead makes by hand so size could vary a bit. 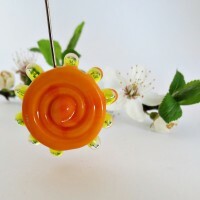 Handmade flat round lampwork bead. Color - transparent scarlet red and turquoise, with aventurine inclusions. Every bead makes by hand so size could vary a bit. Glass Lampwork Bead, Purple-Olive, 20 mm. Handmade flat round lampwork bead. Color - transparent purple and olive green, with aventurine inclusions. Every bead makes by hand so size could vary a bit. 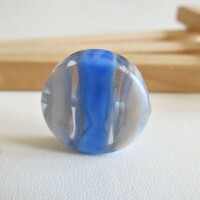 Glass Lampwork Bead, Gray-Blue, 20 mm. Handmade flat round lampwork bead. Color - opaque gray and light blue, with aventurine inclusions. Every bead makes by hand so size could vary a bit. 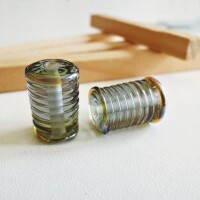 Glass lampwork bead - transparent gray prism with brown borders. 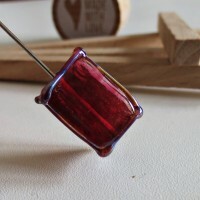 Glass lampwork bead - transparent vinous red prism with brown borders. 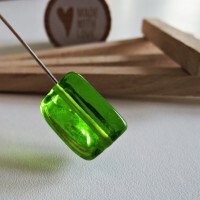 Glass lampwork bead - transparent green prism. Glass lampwork bead - Nautical-style prism. 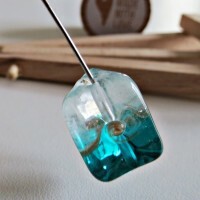 There are transparent clear and dark turquoise colors with aventurine inclusions. 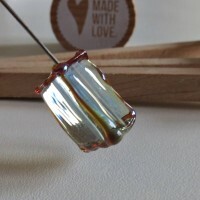 Glass Lampwork Bead - Topaz Brown Prism. 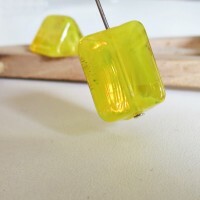 Glass Lampwork Bead - Opal Yellow Prism. Bead has inner stripes.